The mental side of cricket is what separates the best players from the rest. Technical, tactical, and physical preparation are important for top class performances but it is often what happens inside a player’s mind that is the difference between success and failure. Whether batting, bowling, or fielding, a player’s psychological strength has been identified by coaches, players, and commentators as a critical ingredient for winning cricket matches. The very best players and teams are confident, motivated, concentrate effectively, cope with pressure, and control their emotions. The Psychology of Cricket is the first book to provide expert and up-to-date advice into one of the most psychological sports around. The book is appropriate for anyone involved in playing or coaching cricket, and for all levels. 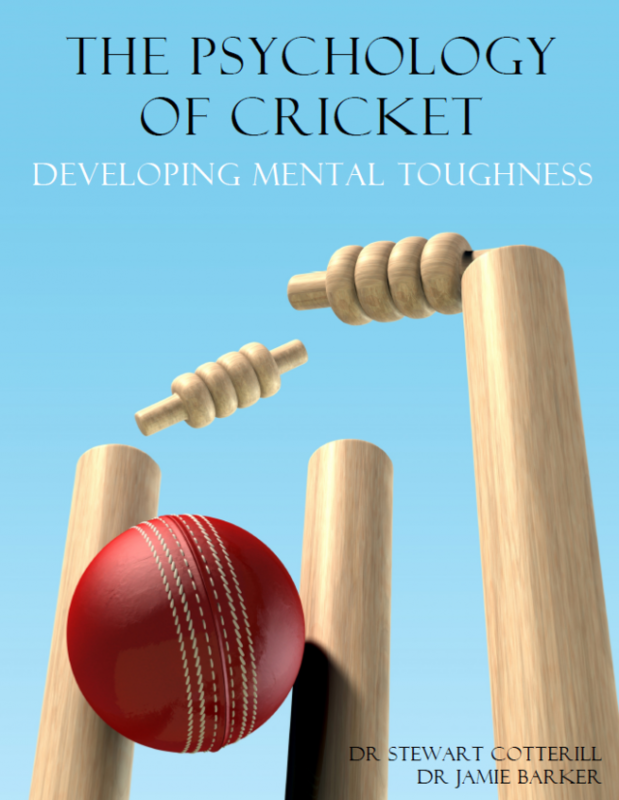 The Psychology of Cricket teaches individuals to develop mental toughness by using mental skills which can be used in both practice and match situations. The book also provides expert advice on understanding the important ingredients of successful teams and leaders. The Psychology of Cricket teaches players to fulfil and maximise their potential. If you want to learn how to improve your ability to bat for long periods of time, increase your enjoyment in cricket, or bowl well under pressure – then this book is for you! Dr. Stewart Cotterill is an applied sport psychology consultant with over 12 years of experience working in both Professional and Amateur sports. He is a Chartered member of the British Psychological Society and a HCPC Registered Sport and Exercise Psychologist in the UK. He currently runs his own Performance Psychology Consultancy business called Performance Mind (www.performancemind.co.uk) and is also employed as a Senior Lecturer in Sport Psychology at the University of Winchester, United Kingdom (www.winchester.ac.uk). Stewart’s experience in cricket ranges from working with amateur players, University players, professional clubs and as part of a International team development programme. Dr. Jamie Barker is a Senior Lecturer in Sport and Exercise Psychology at Staffordshire University, United Kingdom (www.staffs.ac.uk/research/csher/index.jsp). He is a Chartered Psychologist with the British Psychological Society (BPS), a Registered Sport and Exercise Psychologist with the Health and Care Professions Council (HCPC), and a British Association of Sport and Exercise Sciences (BASES) accredited sport and exercise scientist. He is an active researcher with book authorship, numerous publications in international journals, and chapters in edited books. Jamie is an active consultant with over 14 years of experience working in a variety of professional sports (including soccer and golf) with a major focus in cricket.